There really is only one definitive screen version of the classic fairytale about the beautiful girl who’s put to sleep for a hundred years by a wicked fairy in a fit of pique because she wasn’t invited to the said maiden’s christening sixteen years previously. 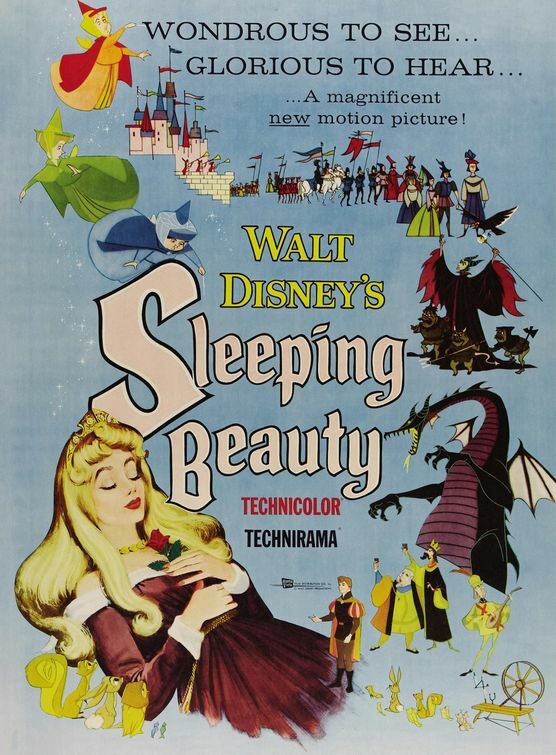 Disney’s animated masterpiece Sleeping Beauty (1959) was, and still is, a mesmerising piece of cinema, with a host of characters and situations which remain unmatched in the history of film animation. Though the film literally drowns in visual beauty and is a superlative example of Disney’s art, it is without doubt the film’s opening christening scene where you’re introduced to the four main characters – the good fairies Flora, Fauna and Merryweather and their sinister adversary Maleficent – which remains the film’s highpoint. 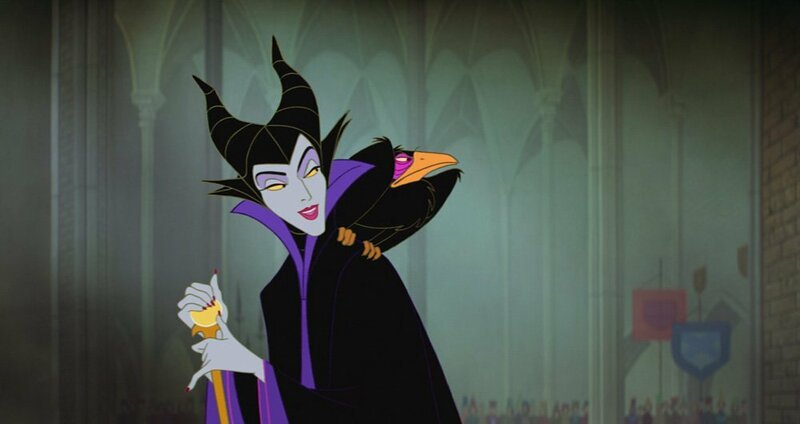 Other scenes may be funny and adventurous in equal measure, however nothing comes close to Maleficent’s initial entrance and her revenge at being overlooked as a guest at the party of the year. Let’s face it, baddies in movies always have the most fun. Many actors and actresses admit they often relish playing a character with a darker side, as it gives them more to get their teeth into. The same could likely be said for those who voice the characters in animated features. Though not so instantly recognisable physically, the voices of certain thespians can become almost as famous as the faces of others. And no more so than that of the character actress Eleanor Audley. 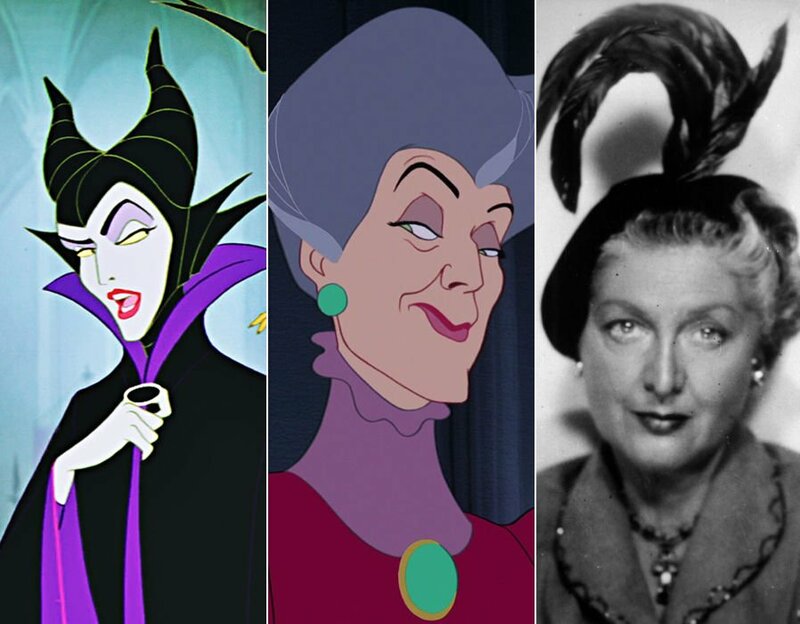 Though she appeared in over one hundred film and TV productions in a career spanning more than twenty years, it is as the voice of two of Disney’s best loved villains – Cinderella’s scheming stepmother Lady Tremaine in Cinderella (1950) and the queen of misrule herself Maleficent, in Sleeping Beauty nine years later – for which she will go down in history. Her syrupy tones were perfectly suited to two characters who disguised pure wickedness, beneath an outwardly regal appearance. Perhaps, on reflection, it was just as well that Audley’s appearance was not so well known to the general public – would you want to have come face to face with the woman who gave life to two such deliciously vile villains?